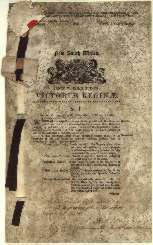 This document was the first of two new laws which transformed land ownership in New South Wales, and which were followed by similar laws in other colonies. 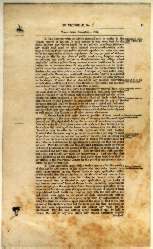 This Act provided for the alienation of land and the complementary Act provided for the occupation of land. In 1861, the powerful Premier of New South Wales, John Robertson, was determined to break the long-established monopoly of the squatter-pastoralists in land-holding in the colony. 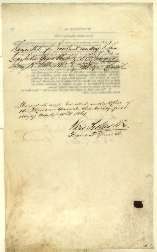 He forced two Acts through the Parliament, opening up free selection of Crown land by permitting any person to select up to 320 acres, on the condition of paying a deposit of one-quarter of the purchase price after survey, and of living on the land for three years. 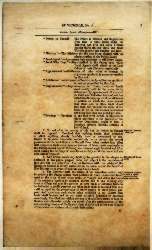 Robertson intended to give poorer purchasers access to land and to increase farming and agricultural development in New South Wales. Great conflicts between the squatters and the selectors ensued, and corruption and scheming in acquiring land became rife. Although the success of their goals was questionable, these Acts had a powerful impact in the ownership and use of vast regions of the Colony (and, in the eyes of some, thereby also encouraging bushranging). In enabling close settlement of pastoral lands still available for use by Aboriginal people, the Acts further limited the lands and economy of the first occupants. They also permanently weakened the political power of the pastoralist class in Australia. 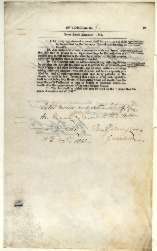 This document has 11 parchment pages and signatures on the final page. 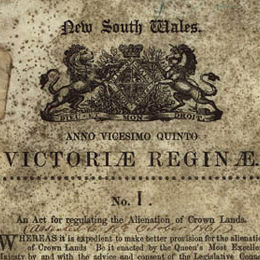 Detail of the New South Wales crest on the title page of the Crown Lands Act 1861 (NSW).